Today’s New Testament Psalm is about Jesus, our Shepherd. I read this modern Psalm with great interest. 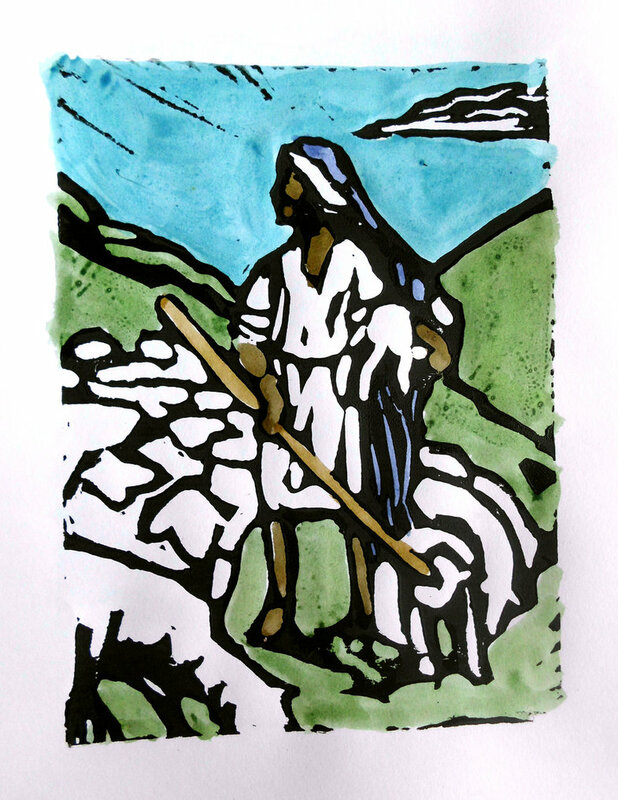 I’ve always had a bit of feeling of kinship with the Shepherd/sheep analogy in the Bible. This topic seemed to be a natural for this book Praying the New Testament as Psalms, by Fr. Desmond O’Donnell and Sr. Maureen Mohen. Two of the Psalm sections seemed to leap off the page at me. First, and most strongly, “As the sheep know the voice of their shepherd, may I know Your voice in the midst of life’s turmoil.”  This affects me, personally and deeply. As I look back on my life, especially in the last three decades, I have been grateful for God’s guiding, shepherding hand. Even though I don’t always feel it, even though I have often been wandering in the wilderness, lost and alone, I still feel a kinship. And, I earnestly want to know God’s voice. My Good Shepherd’s voice. A second section of this modern Psalm moves me, in a different way. It is adapted from Jesus’ words in John 10: “Help me to extend a welcome to all—‘one flock, one shepherd’—Christ’s prayer. This touches the pastor and pastoral care-giver in me. Where the first section is focused inward, towards me in a distinctly interior way, this section is directed outward. I feel I ought to ask for help. I want my Shepherd to help me to learn to be a shepherd, myself. I realize I will only make a halfway decent job of being a shepherd. However, with the Great Shepherd’s guiding, helping hand, I’ll do a better job than I ever would, doing it on my own! Gentle Shepherd, thank You for Your help. Dear Lord Jesus, continue to shepherd me, please! Praying the New Testament as Psalms, Desmond O’Donnell, OMI, and Maureen Mohen, RSM, (United States of America: ACTA Publications, 2002. ), 42. In my reading today, the scripture passage ended with 1 John 4:16a. I especially focused on the words of the first section of this verse. 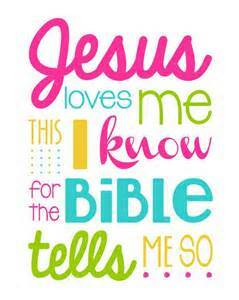 “So we have known and believe the love that God has for us.” I reflected on the fact that I came to realize, very early, that God loved me. I grew up in an unchurched home in Chicago. My parents were born and raised Catholic, but they chose not to raise their children in any particular church. I still—to this day—don’t know exactly why I started to attend the Lutheran church in my neighborhood on the northwest side of Chicago, but I did attend, from a young age. And, I was blessed to be taught about God’s love by the pastor of that church. God is the Good Shepherd, One who loves me and takes care of me. (Thank you, Pastor Wold!) I learned that God’s love was “deep and wide,” and that “Jesus loves me.” I learned much more as I went through confirmation class, too. This morning, I continued to reflect on how I came to begin to understand the amazing, boundless love of God. I also thought of people who don’t have a positive experience with God. Or, God’s love. They grow up with the idea of a punishing God. Or, a capricious God. Or, with absolutely no idea of God at all. This reflection brought me to tears. I realized how blessed I was, having had a concept of a loving, caring God in my life! This probably helped me through my turbulent teenage years. I shudder to think what my teens and twenties would have been like . . .
And now, knowing God intimately for as long as I have, I can no more think of a life without God than a life without breathing. Thank You, God! Let’s pray. Dear God, thank You for leading me to You. I can’t even remember how I came to You, at first, but I did start. And, I kept attending church. Even though I wended and wandered in my way, even though we might not be faithful in gathering with Your flock, that doesn’t make any difference. You love us! You keep drawing us closer and closer to You. Thank You, Lord! Thanks for those lessons I had early in life. And, thanks for the continued assurance of Your love, caring and nurture. It’s in Jesus’ blessed name we pray, amen.